China is investing big and promoting international cooperation in the scientific research of Qinghai-Tibet Plateau to assess climate change and promote the plateau's sustainable development, an official of the Chinese Academy of Sciences (CAS) said Wednesday. The Qinghai-Tibet Plateau represents one of the largest ice masses on Earth and has been called the "Third Pole" by scientists. "The Third Pole Environment (TPE) research program inaugurated by the CAS is expected to be listed as China's major scientific research with global significance in 2018," said Cao Jinghua, director of the CAS International Cooperation Department. According to Cao, TPE has seen huge progress since it started in 2009. "The project has received around 800 million yuan (around 125 million U.S. dollars) in funds from 2009 to 2017. 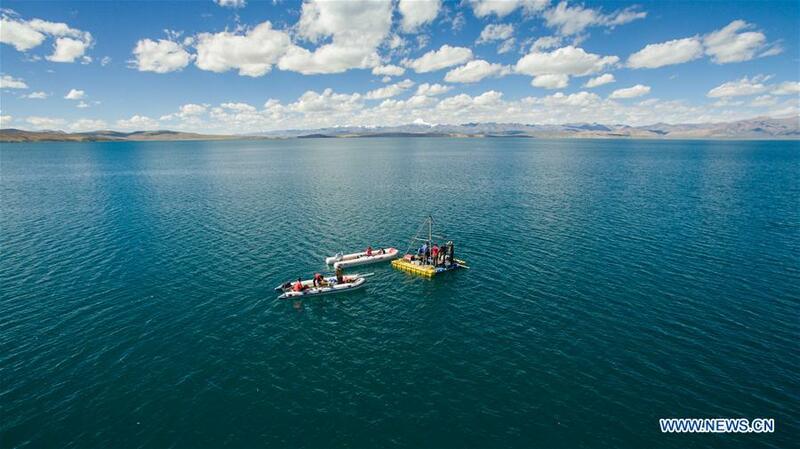 China's second comprehensive scientific expedition to the Qinghai-Tibet Plateau is offering new opportunities," Cao said. The CAS is also pursuing international cooperation on the research. It set up the Kathmandu Center of Research and Education in Nepal to facilitate cooperation. It invites scientists from South Asian countries, the U.S. and European countries to collaborate on the research. "We hope to play a world-leading role in this research. We are also intensifying research on the North Pole and the South Pole," Cao said. Scientists and researchers participating in China's second scientific expedition of the Qinghai-Tibet Plateau have entered Ngari Prefecture in Tibet Autonomous Region. Scientists will inspect more than ten major lakes and rivers in Ngari and Xigaze prefectures and study the lcoal climate, lakes and biodiversity in the region.